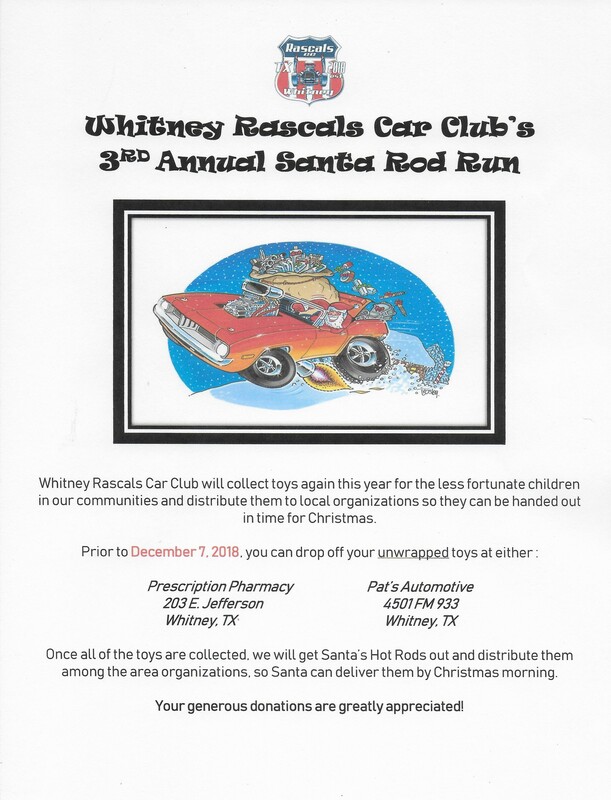 Whitney Rascals Car Club will collect toys again this year for the less fortunate children in our communities and distribute them to local organizations so they can be handed out in time for Christmas. Once all of the toys are collected, we will get Santa’s Hot Rods out and distribute them among the area organizations, so Santa can deliver them by Christmas morning. Your generous donations are greatly appreciated!